I’ve written a lot about the weather lately because it has been killing some of my runs. It’s November here in Texas, but we’ve had a few days where the temperature has jumped up into the 90s. 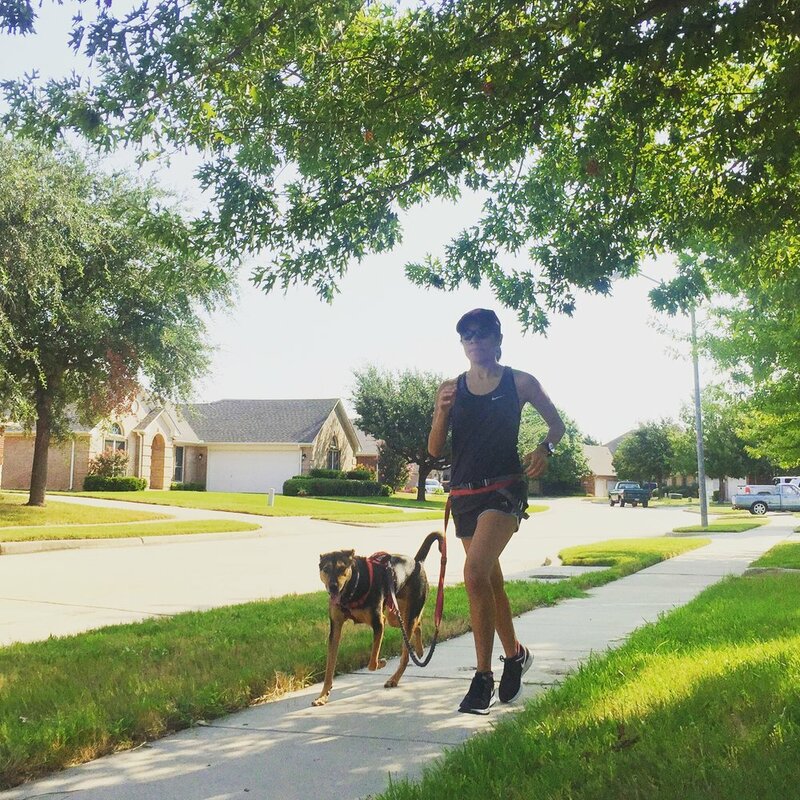 My last long run was painfully hot and I wanted to quit running at 4 miles. I would have quit but I was about three miles away from home and I knew walking the entire way back would be a long trek home. I’ve been thinking about how to power through these exceptionally tough runs lately, and here’s what’s working for me. 1. Be flexible. A rough run is bound to happen time to time or you might seem to hit a rough patch of bad workouts. Be willing to adapt your workouts if you’re struggling. Whether it is the weather or a nagging injury or just a bad day, be flexible with your training. That doesn’t necessarily mean cutting a run short. You could also work in more walk breaks and still get your mileage in. I finished my long run the other week by breaking it up and walking every few minutes. It seemed to replenish some strength into my legs with each break. 2. Know you’re building mental toughness. If you finish a rough run, congratulations, you have just trained your mind to run through less than ideal conditions— whether it be dead legs or zero motivation. Whatever run you can get in while feeling this way has added to your mental toughness. On a better day, the same run will be easier (and faster) because you know how to dig deep. 3. Take it in small doses. The best way I’ve managed to push through a rough run is to look at the run in small pieces. If I have a 10-miler scheduled and I’m hurting at 3 miles, then I tell myself that I’m just two 5Ks away from being done (and eating). Run the mile you’re in and don’t stress about the overwhelming mileage ahead of you. If you break up the run into smaller pieces, you’ll feel like you’re achieving little goals along the way. Finishing a hot run with my best running partner Prince. If you’ve hit a patch in your training where it feels like every run is painful and you’re slogging through the miles, don’t let it wreck your mind. If you’re managing these runs, it’s because you’ve built a solid fitness base. It’s easy to lose sight of that on a particularly awful run. I know I’ve wondered why I could run 11 miles last week and this week’s 4-miler was agony. Instead, be willing to give yourself a break and build up mental toughness. Dig deep friends.